Carpet Installers do multiple tricks and trades to better serve our Houston Locals and surrounding areas. Mostly all Carpet Installers have extra training and experience in Carpet installing, carpet Stretching, Carpet Repairs and Carpet Cleaning Services. Most customers think that there carpet can not be repaired, But it is never a waist of time to get a free quote, when it can help you save a lot of money instead of replacing your old carpet with new simply because you think a hole is to big to be patched or repaired. 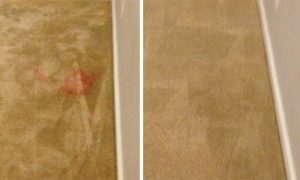 Here at Tex A Clean Carpet Care LLC our Professional Technicians love to take on any challenge when coming to Stretching Patching or Repairing any type of Carpets excluding Area Rugs. If our Professionals cant get your job done the right way we will not Charge you for our services. If our Professionals go out to your home and we tell you we can not battle your carpet back in the right shape, we will give you 15% off on your carpet cleaning with Free Fiber Protector. With this offer all customer must have extra carpet of the same match in your possession. 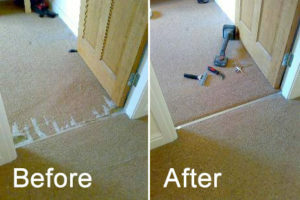 If the customer dose not have the same matching carpet we will try to track down and locate it for you. If we can not find the same carpet due to the manufacturer no longer selling it. We can go other routs to try and fix it for our customers. Do not hesitate to give us a call to see if we can help you with your carpet project. All estimates are free here at Tex A Clean Carpet Care LLC. Call Us Now!